What gutter problem do homeowners commonly encounter? Do you notice gutter overflow when heavy rain occurs? If so, you are experiencing one of the most common problems with standard guttering. Incorrect gutter slope or incorrect fall is usually the root cause of common gutter problems. Incorrect gutter slope prevents rainwater from completely draining away. Coupled with blockage-causing leaves and dirt build-up, water cannot flow effectively through to the downpipes and water tank. This causes the gutters to overflow during strong downpours. When rainwater overflows from the gutter instead of being directed to the downpipes, it is only a matter of time before your home starts showing visible signs of water damage. This can be anything from rotting fascia boards, stained eaves and rising damp. To make things worse, overflowing gutters during heavy rains also greatly contributes to water wastage. How can you solve common gutter problems? Good thing we are here to help you fix any overflowing gutters. We can help you prevent water damage as a result of leaking gutters. We’ll take care of everything that needs to be done and get the job done right the first time. 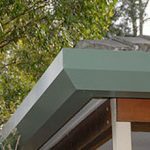 We are here to provide effective gutters Sydney products and guttering solutions. (Find out how to maintain your guttering system.) We solve guttering problems others can’t! Consult our team and find the right gutter for your roof. For guttering Sydney supplies, call 1800 897 444! Overflowing leaking gutters means water wastage, leading to rotting fascia timbers, rising damp, erosion and possibly structural issues. 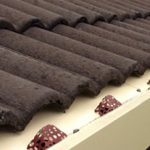 Conventional gutter products with incorrect fall create the ideal conditions for corrosion, exacerbated by leaf acids, which then form hydroxide ions. Incorrect fall is characterised by the gradient of your gutter being too level for the water to be drained, causing it to stagnate and potentially lead to many problems such as leaking gutters. When leaves and other debris get into home gutters and downpipes, this leads to blockages, overflow, corrosion, as well as fuel for fires in bushfire-prone areas. One of the biggest drawbacks of standard rain gutters, overflow results in a flood, especially when the back of the gutter is lower than the front. 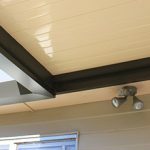 A common problem with pergolas today is that they can bring about overflow issues at the point of contact to the house. If you see cracks, splits, or peeling paint, then it's time to replace your roof gutters. Replace your gutters with a complete guttering system that prevents common gutter issues.